It’s not that often that sire sensations appear, so for Juddmonte’s Frankel (Galileo) to streak away from his fellow F2014 (first foals 2014) (click here for tables) North American and European sires the same way Coolmore’s Uncle Mo (Indian Charlie) did among F2013 sires last year (click here for tables) is unusual: two prospective ‘World Top Five’ stallions in successive years. Mind you, it is true the stallion ranks are thinning: a total of 715 sires in North America, Europe, and Japan were assigned APEX ratings in our Midyear 2017 ratings, a decline of 38% from the 1,156 sires rated 10 years ago, at the beginning of 2007. Recent North American and European sire crops consist of 65 sires (F2013) and 60 sires (F2014) instead of 100 sires, like it used to be. In order to qualify for APEX ratings, sires have to have had at least 10 named 3-year-olds in the last year covered by the numbers (so, for Midyear 2017, they have to have had 10+ named foals of 2014), so not all sires qualify. We figure we eliminate at least the bottom 20% of each foal crop, and the result is that 1.00 is a truer practical average rating for sires. Whether there are 60 or 100 in a crop of sires isn’t relevant to the appearance of sires like Uncle Mo and Frankel, except their explosive successes, relatively speaking, throw into relief their superiority among their contemporaries. One other important bit of ‘housecleaning’, or clarification, has to do with the Midyear figures themselves. You’ll note from the accompanying table that A Runners in North America, for example, had to earn $133,000 or more in 2016, but thus far in 2017 the corresponding figure is $86,000. This is because The Jockey Club Information Systems (TJCIS), which compiles the data, calculates the top 2% of earners as of the cutoff date (in this case, July 5). There is a lot more money to be won this year, so the cutoff figure will rise. Consequently, it is entirely possible than some horses who are designated as Midyear A Runners, because they have made $86,000 or more, could finish the year as B Runners ($93,200 in 2016), or even C Runners, if they are, say, between $86,000 – $133,000 (last year’s figure) now, but don’t add to their earnings by the end of the year. So, we have to be careful not to get carried away with the Midyear ratings; if a horse in North America has earned, say, $135,000 this year it is very likely going to be an A Runner at the end of the year; but some will not, so important to keep that in mind, please. Both Frankel and Uncle Mo are wide-margin leaders among their sire crops, and each leads their respective crop in all four categories we are reviewing today: A Runner and ABC Runner Index, and number of A Runners and ABC Runners. Let’s begin with the F2014 sires, whose first crops are now halfway through their 3-year-old year, so this is the first time they’ve been rated. 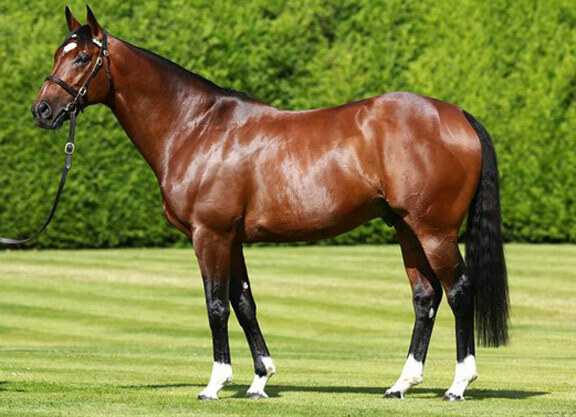 One of the things that is so striking about Frankel’s record so far is his consistency at siring high-class performers. The knockers want to criticize him because he doesn’t have a European Group 1 winner yet, but what he is doing is siring an amazingly consistently high level of ‘average’ runner. With 114 year-starters so far, he has sired 11.40% A Runners from runners (13 A Runners, 5.70 A Runner Index through July 5), and nearly 22% ABC Runners from year-starters (25 ABC Runners, 2.74 ABC Runner Index). These include now 10 GSW, more than double Union Rags’s second-place total, of four. At this moment there are seven F2014 NA-EU sires with at least 80 year-starters and A Runner indexes over 1.75 (which is 3.50% A Runners/year-starters). After Frankel (5.70), the next five are North American, and include: Lane’s End’s Union Rags (Dixie Union, 2.69); the Darby Dan pair of Dialed In (Mineshaft, 2.34) and Shackleford (Forestry, 1.85); and the sires of the winners of the first two legs of this year’s Triple Crown–Hill ‘n’ Dale’s Maclean’s Music (Distorted Humor, 2.27, including GI Preakness S. winner Cloud Computing), and WinStar’s Bodemeister (Empire Maker, 2.17, including GI Kentucky Derby winner Always Dreaming). Number two in Europe is Newsells Park’s Nathaniel (1.79), like Frankel a son of Galileo and in fact one of the two horses (besides Coolmore’s Excelebration [Exceed And Excel, sire of G1 St James’s Palace S. winner Barney Roy]) who had the closest form lines with Frankel. Nathaniel is the sire of dual Oaks winner Enable (G1 Epsom Oaks, G1 Irish Oaks last weekend) in his first crop. Frankel has so far 13 A Runner performances to also lead comfortably in that category. Union Rags is second (7), followed by Bodemeister (6), and Dialed In and Shackleford (5 each). Looking at ABC Runners (top 8% earners), the picture is slightly different. Frankel is again the comfortable leader, with 25 ABC Runners and a 2.74 ABC Runner Index, but there is a new name in second in both categories: Coolmore Ashford’s Stay Thirsty (Bernardini), with 19 ABC Runners, and a 1.90 ABC Runner Index. Just two of those are A Runners (0.80) so far, but he also has five B Runners, 12 C Runners, and actually leads Frankel by 3-year-old ABC Index (2.61 to 2.57). Whether those will just be ‘midyear’ ABC Runners, or whether he can convert them to year-end ABC’s we will have to wait and see, but he does have the profile of a sire whose standing could improve considerably as they get a little older. The Australian-bred Fastnet Rock horse Foxwedge, who stood at Whitsbury Manor in England but had not returned from Australia the last couple of years, is third with 13 ABC Runners and a 1.56 ABC Runner Index, so probably he should come back. Another 10 North American and European F2014 sires each has 10-12 ABC Runners, as the relevant table indicates. At the end of 2016 Uncle Mo had sired 23 A Runners, 46 ABC Runners, and had a gaudy 5.09 A Runner Index, good enough to make him the first sire with just 3-year-olds to top the list of sires by A Runner Index. Though he has now retreated to a respectful second to Galileo among 394 NA-EU sires with 200+ year-starters (Frankel has 114, so doesn’t qualify for inclusion yet), Uncle Mo now has 34 A Runners (4.59 A Index) and 76 ABC Runners (2.57 ABC Index), and tops the 65 NA-EU F2013 sires, with their first 4-year-olds this year, in all four of those categories. 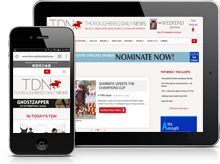 A look at the 2013 crop list on the TDN website (click here) shows that Uncle Mo, now with earnings of nearly $17.4 million from his first crop, ranks second only to Unbridled’s Song in total progeny earnings–and $17 million of Unbridled’s Song’s 2013 crop earnings belong to Arrogate. TDN credits Uncle Mo with 157 named foals from that first crop, for, so far, 23 Black-Type Winners (14%), 12 Graded SW (7.6%), of which three are Grade I winners so far. He had around 90 foals each in his second (now 3-year-olds) and third (now 2-year-olds) crops, so as with nearly all sires now, he won’t have such impressive figures from those next two crops, though he has five BTW so far from his second crop, and already six 2-year-old winners from his third. Those first crops set the tone, though, and Uncle Mo’s first crop has been nothing short of sensational. Lane’s End’s Twirling Candy (Candy Ride) has been second to Uncle Mo all along in virtually every category. Coolmore’s Zoffany (Dansili, 11) edges out Twirling Candy (10) by number of A Runner performances, but Twirling Candy continues in second spot by A Runner Index (2.38), ABC Runner Index (2.26), and number of ABC Runners (38). Darley’s Girolamo (A.P. Indy, 2.25) started out in New York, though is now in Kentucky; he and another New York sire, Keane Stud’s Dublin (Afleet Alex, 1.81) rank three-four by A Runner Index, followed by Zoffany (1.70), and Florida’s Double Diamond Farm’s First Dude (Stephen Got Even, 1.60). Girolamo (9) and First Dude (8) also rank four-five by number of A Runners, behind Uncle Mo, Dansili, and Twirling Candy, as noted. Girolamo (1.81) is also number three, behind Uncle Mo and Twirling Candy, by ABC Runner Index, with another Florida sire, Ocala Stud’s Adios Charlie (Indian Charlie, 1.68), fourth. Girolamo is also third by number of ABC Runners (29), with Zoffany and former Spendthrift (now Korean) sire Archarcharch (Arch) tied for fourth, with 27 ABC Runners each. Contact Bill Oppenheim at [email protected] (cc [email protected]).